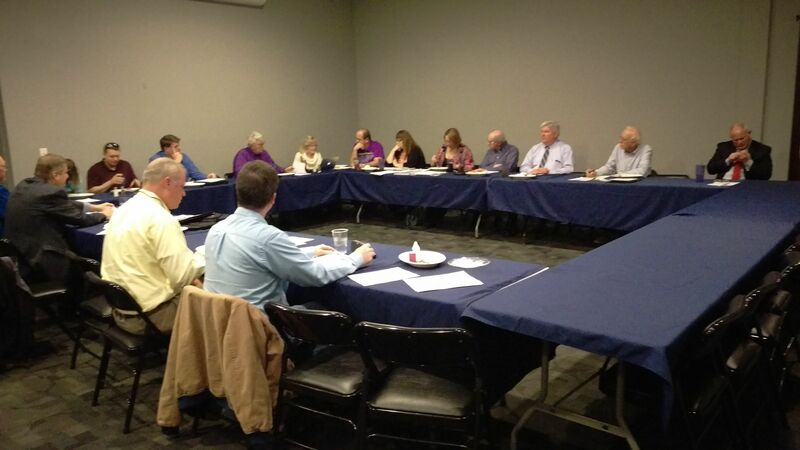 The Christian County Economic Development Corporation board held their quarterly meeting today at the banquet room of Krieger's Sports Bar and Grill in Taylorville, to review ongoing economic development efforts in the county. Executive Director Mary Renner told Regional Radio News about 2 items she shared with the board in the meeting. The first was that the proposed Taylorville Business and Industrial Park on West Route 104 has made what she called giant steps forward towards applying for infrastructure funding. Renner also said that after a positive feasibility study for a proposed Cobblestone Inn for Taylorville, representatives for the hotel chain and their builder are looking at 2 different tracts of land to locate. Renner added it's not known when construction may begin, as the hotel chain will be holding an local investor meeting to garner local dollars for the project. It's not known when that investor meeting will take place, but it'll be likely later this year.